I’m not complaining, I’m just glad that at least there are people who look up to me for making stuff for them, it means they like what I do. I just hope I’ve so much time to do it and fulfill their request. I’ve been away for 2 weeks, Two whole weeks without doing any sewing and craft stuff, I miss my craft-room. And I wanted to get back to the December Daily project that I intended to do. 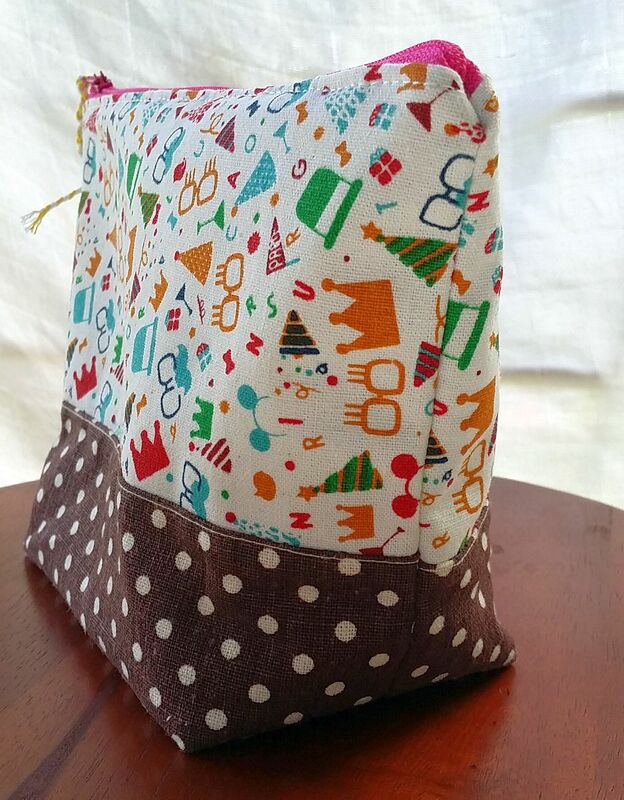 Here, I’ll share a bag that I’ve made before the holiday. I’ve used the Happy Party Line for the upper body and some scrap pieces that I bought in a little bundle for the base. 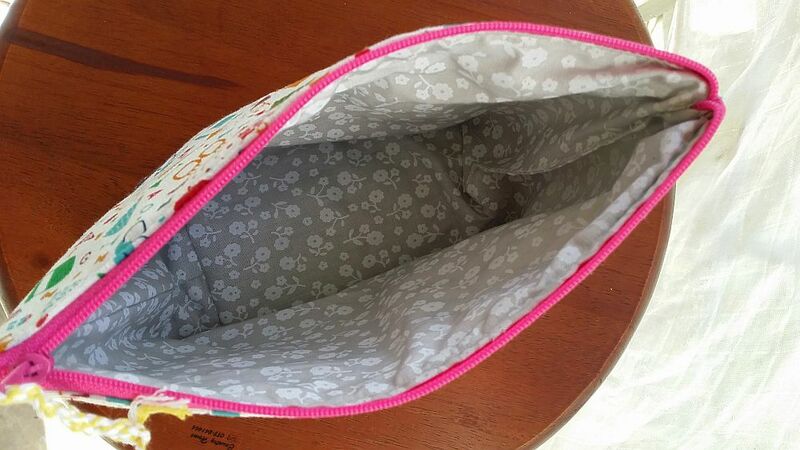 May May Shop is selling the bundle for trial pack in RM15 which came in 10 pieces of different design fabric, which is great to make little pouches, you’ll just need to join them up with other fabric. Keep the happy thoughts there and since Christmas is coming, surely you’ll have lots to prepare and talking about that, I haven’t got our Christmas tree decorated yet. Happy happy happy, just keep being positive. Well, that’s it for today, I hope you’ll have a great week.